Take a look around the site. Listen to a couple of the mixes we've got up. Feel free to see what others have to say about us! 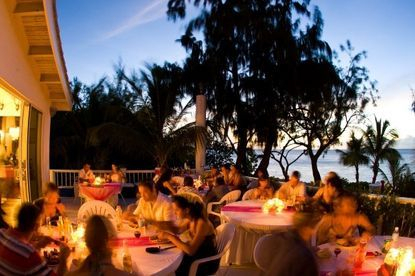 Dayoh has played at Venues, Private Villas and Resorts all over the island and worked with many of the Wedding Companies on island so ask your Coordinator or Planner for more info. Feel like we would make a good match? Get in touch! Ask your Wedding Planner or contact us directly. Tell us about yourselves, your day, your dog (we don't mind!) the more we know about you the better we can customize your soundtrack so you have the perfect playlist for the perfect day. Check your date with us to make sure we're free. Ask and we'll say I do! You've made that all important choice, now it's time to get down to business. We've made it a little easier by designing a form for you to fill out. Tell us about your bridal party, your family, and your favourite tracks so we can put together a soundtrack that's all yours. We will help coordinate your schedule, making sure everyone is where they are supposed to be at the right time. If you're interested in our EmCee-ing services, theres no extra charge. 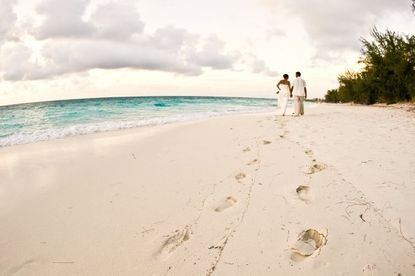 Once you arrive on island we like to meet with you personally before the big day. We'll set up a meeting with your Event Host or Wedding Planner so that we can get a chance to go over any final requests, double check how to pronounce your names, and generally get a feel for each other. Take this opportunity to share your feelings about the day - how you want your first dance to feel, that you're worried your guests might request the funky chicken, if there's any special announcements you'd like to make. We can provide microphones if needed so just let us know! All you need to do now is relax! We will arrive early to set up our equipment, check the sound and do a final once over of the schedule. Rest assured that we will handle your day with the utmost professionalism and care so enjoy every moment and dance the night away! We also do Private Parties, Birthdays, Corporate Get Together's and any other Event you think deserves professional sound and fabulous music. Contact Us to find out more.